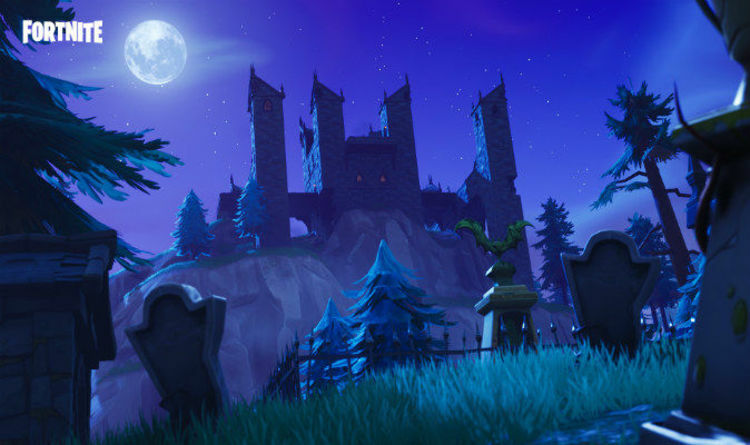 Plenty of new Halloween surprises are being worked on by Epic Games for Fortnite Battle Royale. This was confirmed today by the new skins that were found by data miners and then leaked online. There were a total of five new skins revealed that have yet to be added to the game, either through the item shop or the battle pass. Four of these new skins will fit in with the Halloween celebrations this month, named Jack Gourdan, Hollowhead, Plague and Scourge. Some of the other new items have been released as part of the new Skull Trooper gear that launched in the item shop today. And the description for it reveals that there will be specific challenges that help Fortnite players unlock extra gear. It reads: “Skull Squad Gear available now! Complete challenges to earn the Ghost Portal Back Bling”. The official Fortnite Twitter later confirmed the return of the Skull Trooper after the skin’s comeback leaked earlier on. They tweeted: “Patch v6.02 is available now with a return from beyond the grave! The new gear is certainly proving popular with fans, with many impressed by the two Plague Doctor designs. Epic Games haven’t announced when these new designs will go live, but you can expect them to drop sometime in Halloween. There’s also a chance that some kind of in-game Halloween event is also being worked. While most fans will know about the Floating Island, they may not have noticed the subtle change update timing. Epic Games have started updating Fortnite on Wednesdays, rather than the usual Tuesdays. This has happened a couple of times in a row, and it just so happens that the new date links up with October 31. Could this be a deliberate ploy on Epic Games’ part to launch something on Halloween? This remains speculation at this time, although more could be announced shortly on what is being planned for Fortnite this month. We’ve already seen plenty of new Halloween props pop up on the in-game map ahead of the spooky holiday. The new skins were found in the data files before the launch of the new secret battle star in Fortnite. While the new challenge has yet to go live, the loading screen has already been leaked for week 3. This confirms where the new hidden battle star is located and how players can find it. The new leaked image features a Fortnite character in the Wailing Woods, near the cabin close to the bunker entrance. This looks set to be the place to find the secret battle start, which will only be available to players who have completed all seven week 3 challenges. These will go live on tomorrow, October 11, on PS4, Xbox One, PC, Nintendo Switch and Mobile.